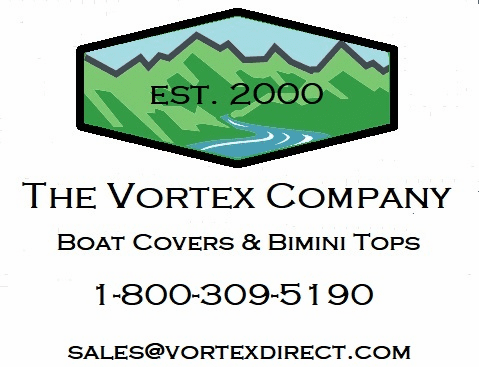 Our Vortex All Purpose Tarps are made from the same 600 denier marine grade canvas material we make our boat covers from. Generally, when you hear the term 'canvas', it implies a cotton based product. These are not cotton based. These are polyester based. The marine grade polyester canvas is a woven material unlike most tarps that feel plastic and slick. It is coated twice with polyurethane on the bottom side, then treated with an additional waterproofing agent, then treated with an anti-mold and anti-mildew agent. It is also UV protected on the top, to cut down on damage from the sun. 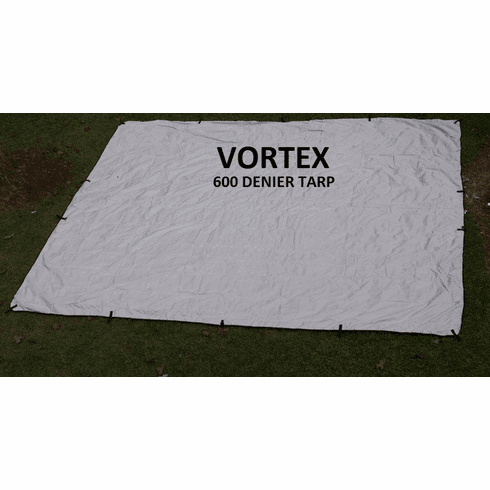 Our Vortex All Purpose Tarps come with a strap system. Expect one for each loop. The straps are about 6 feet long. They are made to double however, so they will extend and work up to a length of about 3 ft. Use other straps if you need to! 5 year warranty. Copyright � 2000 VortexDirect.com All Rights Reserved.